...Mahogany which are typically classified as "hardwoods" due to thier toughness, and the fact that they typically come from deciduous trees. A few of the wood cremation urns in this section are made of softer woods like pine, as well as eco-friendly woods such as bamboo. 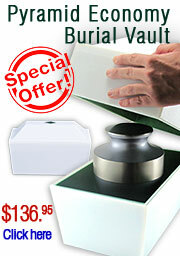 You'll also find the economical MDF (Medium-density fibreboard) wood urns. MDF is an engineered wood product made by combining wood fibres with a resin binder. Our MDF cremation urns are wood veneered MDF. The veneers are real wood and are beautifully finished.